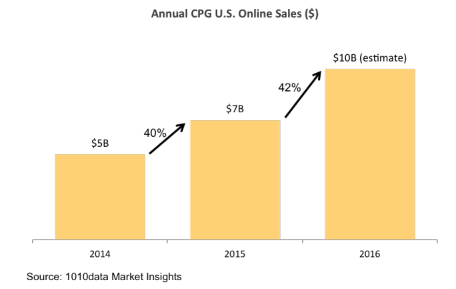 Did you know that key CPG categories have already grown 42% online in the first half of 2016? Assuming that growth remains the same, 1010data estimates that those same categories will surpass $10 billion in online sales by the end of 2016. Despite this growth in online sales, many traditional manufacturers and retailers may not have a sense of how they are faring in terms of in-store versus online sales or what competition they face online.